This is the first-ever method that teaches you how to play in a rock band. Learn what all the great musicians seem to know intuitively - how to listen, interact and respond, improvise, and become part of the groove. The book and play-along CD will help improve your timing, technique, and reading ability. Become the great player that everyone wants to have in their band. 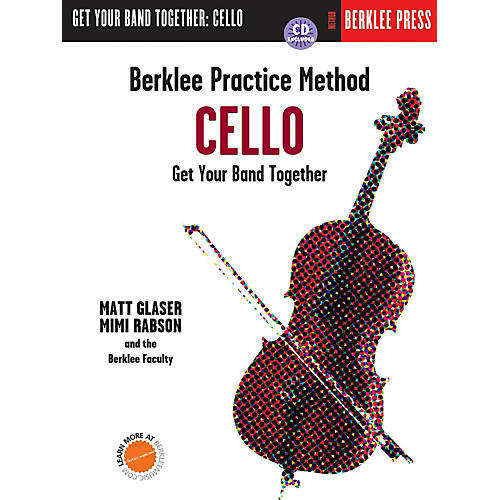 Lessons throughout the book guide you through technique that's specific to learning to play cello in a contemporary ensemble, complete with daily practice routines. The CD features outstanding Berklee players and covers a wide variety of styles: rock, funk, jazz, blues, swing and bossa nova.